The Crow (the Bird People) are a Siouan-speaking North American Plains Indian people originally from southern Montana, U.S. The traditional territory of the Crow tribe was the area around the Yellowstone River in what are now northern Wyoming and southern Montana. The Crow migrated westward until they reached the Rocky Mountains. 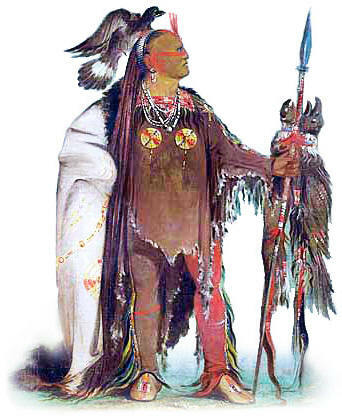 The Crow Native Americans lived in harmony with the land which was emphasized by the their culture, religion and beliefs. The idea of an individual person having exclusive use of a particular piece of land was completely alien to Native Americans.